Help the birthday boy or girl show that it's their special day with our personalized 30th birthday t-shirt. This shirt is available on our premium white, machine-washable, 100% cotton Personalized T-Shirt. It comes in adult sizes S-3XL and is also available in Ash Gray or Pink. 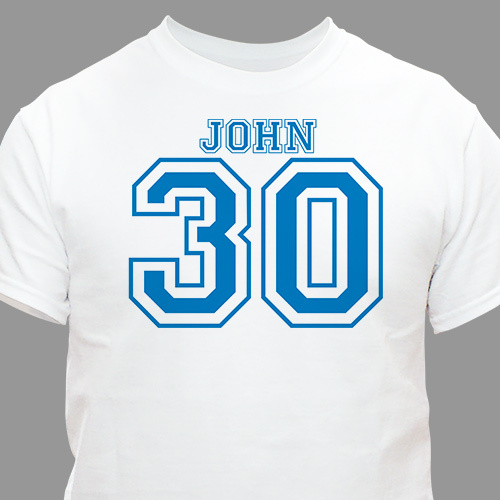 Personalize each Sports 30th Birthday T-Shirt with any age and any name. You can choose between 10 colors for printing.